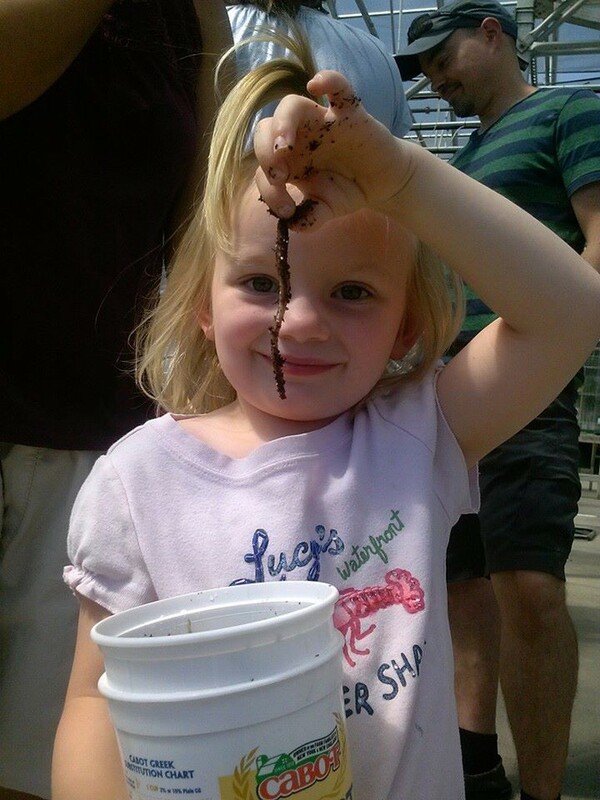 Worm Composting | Project | Kids VT - small people, big ideas! Looking for an extra-rich fertilizer to help your garden grow — and a fun excuse to let your kids play with nightcrawlers? Try vermicomposting, or composting with worms. When worms eat leftover kitchen scraps, their poop mixes with soil to create a nutritional feast for plants. And unlike with traditional composting, you never need to turn the pile; the worms take care of that themselves. All you have to do is build the critters a habitat. At a recent workshop at Gardener's Supply in Williston, Vermont naturalist Mike Ather, of the website Backyard Wilderness, showed families how to compost with worms. Here's what he recommended. Collect two 32-ounce yogurt containers. Place a few small stones in one container. Drill several small holes in the bottom of the other, then place it inside the first container. Line the top container with a wet paper towel. This will hold in the bedding and prevent worms from escaping. Rip newspaper into small pieces, moisten with a spray bottle and place on the paper towel. You should have two or three inches of bedding. Layer dampened, fertilizer-free potting soil or peat moss on top of the newspaper, followed by a layer of food extras, such as produce, coffee grounds, rinsed eggshells, leaves and tea bags. Don't use meat, dairy, plastic, oils or bones; these will attract rodents and fruit flies. Make a cover for the top container out of cardboard. Find two or three worms outside and put them in the bin. The temporary bin will last for about a week. After that, transfer the contents to the garden.